Search the Remnants– When there is a big construction job, there are often leftovers that can be sold for deep discounts. 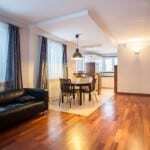 If you are just doing a room or two, checking out the remnants can be the perfect solution to getting nice flooring choices for even nicer flooring prices. Wait for Sales and Clearance– By waiting to buy your flooring around a few key holidays when stores usually discount their materials, you can find some great choices with great flooring prices. Be sure to research beforehand however, so you know what is actually a deal and what is just a bright sale sticker trying to trick you into thinking it’s a deal. Pay in Cash– When it comes to running a business, cash is still king. 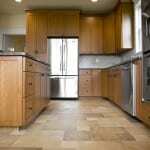 While putting a large purchase like flooring might seem like the perfect option for the ol’ credit card, avoid the temptation and use cash when possible. Many suppliers need to pay a small percentage fee to run a card and might be willing to give you a discount for paying in cash. All you need to do is ask! For great flooring prices year-round, come and see us at Wright’s Carpet.